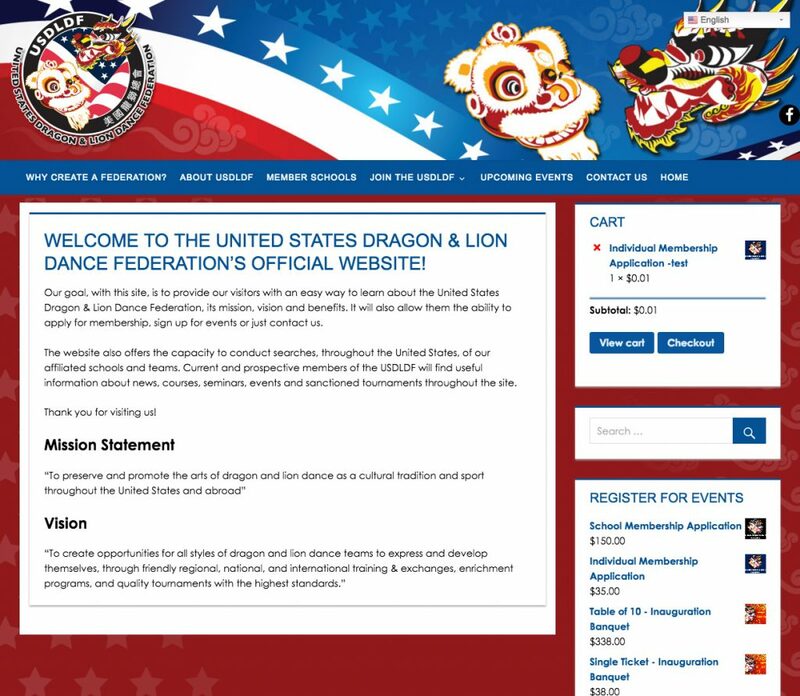 Our goal, with this site, is to provide our visitors with an easy way to learn about the United States Dragon & Lion Dance Federation, its mission, vision and benefits. It will also allow them the ability to apply for membership, sign up for events or just contact us. The website also offers the capacity to conduct searches, throughout the United States, of our affiliated schools and teams. Current and prospective members of the USDLDF will find useful information about news, courses, seminars, events and sanctioned tournaments throughout the site.